Many worldbuilders choose to invent languages for their worlds. But whether or not you invent a language for your world, you need to decide how the people of your world create place-names. Place-names in English are often made by appending a syllable like -ville or -ton or -berg to a landscape feature or town founder. Some places have names with no translation, but people also name places by describing their location, color, climate, vegetation, or wildlife. If you have an invented language, decide how place-names are formed in your language. Pick out some common affixes, determine whether your culture prefers long or short names, and outline a few name configurations that seem native to your culture. If you don't have an invented language, make these same decisions for the way you'll use English to name your places. Once you've decided on your place-name rules, try to depict some name constructions in English. If you have an invented language, translate a few of your place-names literally, into longer names like Rock of the Sighing Trees and River where the Wind Blows Cold, or shorter names like Singing Rock and Riverton. By patterning some English place-names after your translations, you can use English labels to further characterize your people and their language. Using a mix of English, partly foreign, and entirely foreign words, try to think of names that represent the character of the people who live in your world. In this Language Codex of the Known World, you can see how I use the names Bulb Rock, River Skanth, and Dlathril from the faerie language of Kalrei. Even if you haven't invented a language for your culture, you can add realism by choosing some place-names that lack English translations. Also think up some intriguing names based on old stories or events that took place in your world. Names like Rebel Bay, Coward's Wash, and The Glades of Despair impart a sense of history to the area and heighten the realism of your world. Provided the rules for your place-names allows for it, you can also add in a few names related to other places, such as New Linden or Old High Road. Last but not least, make sure to use some obvious and boring names in your world. Not every name can be epic and awesome, and the real world is full of places like Greenbrook, Eastpoint, and Springfield. Though these non-creative names might seem dull, they are ultimately the cornerstone of realism for your world. 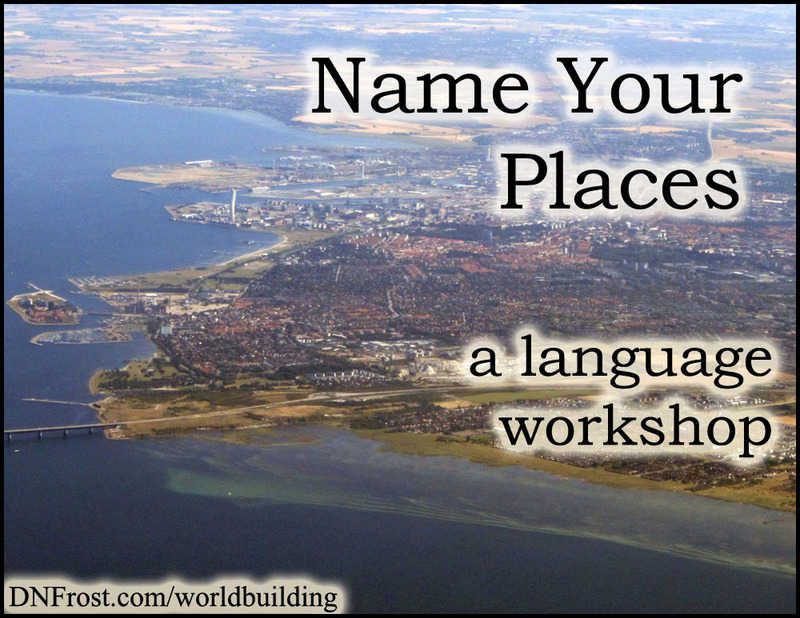 The naming of places is a messy and subjective process in any language, but with a little planning, you can create a world that is both expressive and navigable to readers.